The journal includes copyright and licensing information on the first page of each article. The journal includes author ORCIDs (for at least the corresponding author, but preferably for all authors). See orcid.org for more information on ORCIDs. The journal includes funding acknowledgements by authors is displayed on the first page of each article (but may be on the last page). Submission, acceptance and publication dates are included on the first page of each article. The DOIs of referenced articles are included in the bibliographic references of each article. Information about subscription fees, handling fees, publication fees or similar are included in the author instructions. If there are no fees, then this should be stated. If the journal has its own website then the primary institutional affiliations of its full Editorial Board as well as of any other governance committees, such as advisory committees are included. The Editorial Board (and any supporting committees) is institutionally and, geographically diverse (or varied) and ideally with a good gender balance. The journal has a clearly-stated policy on authors’ permissions to deposit the article in a personal, institutional, thematic and/or other Open Access repository, including whether the permission is for the post-publication version or pre-publication version of the article. The journal implements, and publicly and transparently shares, its policies on publication ethics (codes of moral and correct publishing conduct) and publishing malpractice (improper publishing conduct) on its own website and on its JOL homepage, including plagiarism, copyright violations, errata, retractions, data sets, gender, racial and language policies. The journal loads its own content onto the JOL platform. The journal has an archival, digital preservation arrangement with an external party, for example CLOCKSS (a joint venture or project between certain publishers and research libraries to create a reliable global archive or place where documents are stored). The journal has a full back file of archival content available online (via the JOL and/or on its own website). At least one issue and/or 10 articles are published per year (preferably more). It is recommended that journals include contact email addresses and/or a link to each Board member’s primary affiliation (connection to a larger organization, for example a society or university) website, under the JOL’s “About the Journal” section and on the journal’s own website, if it has one. Membership of COPE (the Committee on Publication Ethics) and/or OASPA (the Open Access Scholarly Publishers Association) (for Open Access journals) is strongly encouraged. 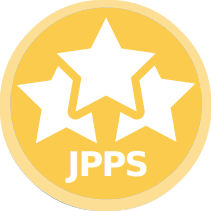 For Open Access journals to get a JPPS three-star status, they are strongly encouraged to provide evidence that they meet the DOAJ technical requirements and DOAJ Seal Qualifiers (see doaj.org/application/new).